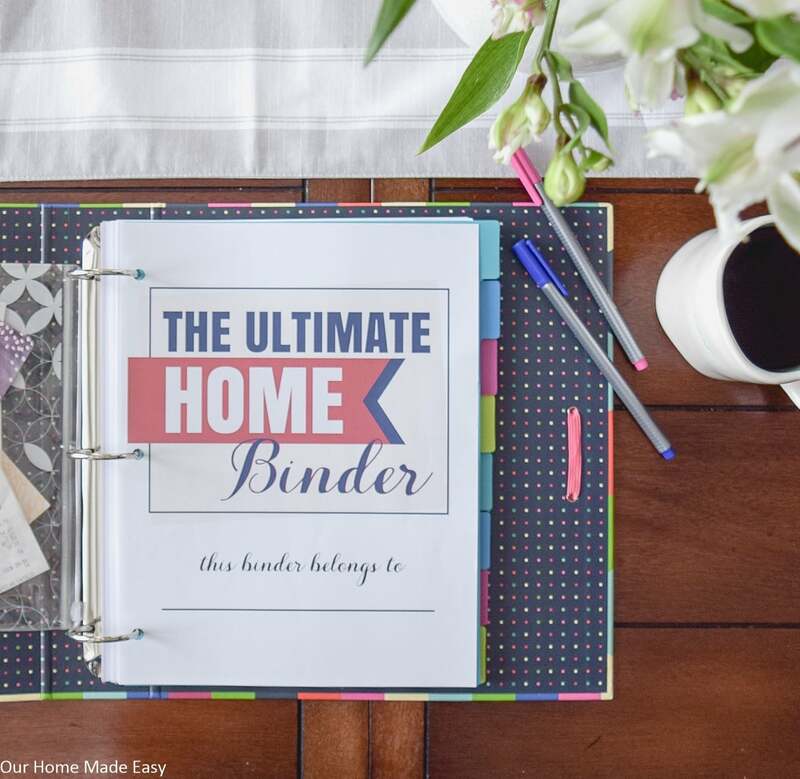 Over the summer, I launched the Ultimate Home Binder. To make sure that you are continually keeping excited about your organizing skills, I wanted to create some fun new covers. 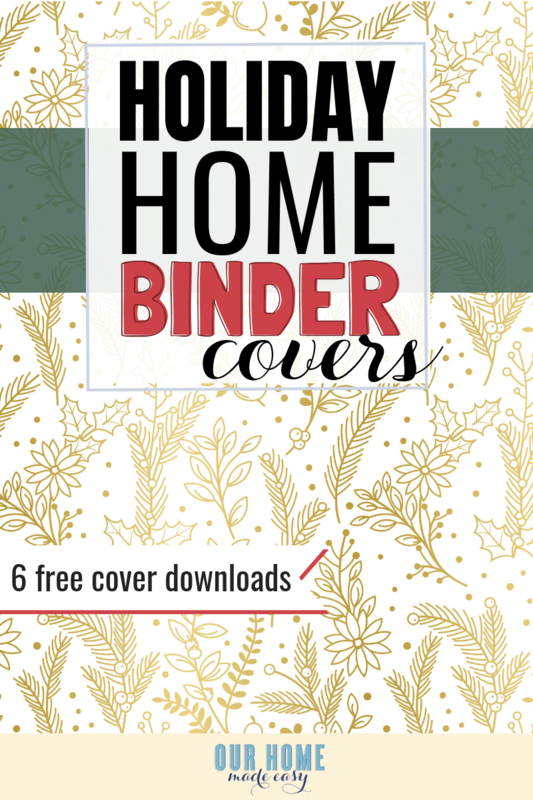 In the fall, I added these free pretty fall binder covers in the printables library, and now it’s time for holiday covers! Don’t have access to the pretty printables library? Click here to get access today! 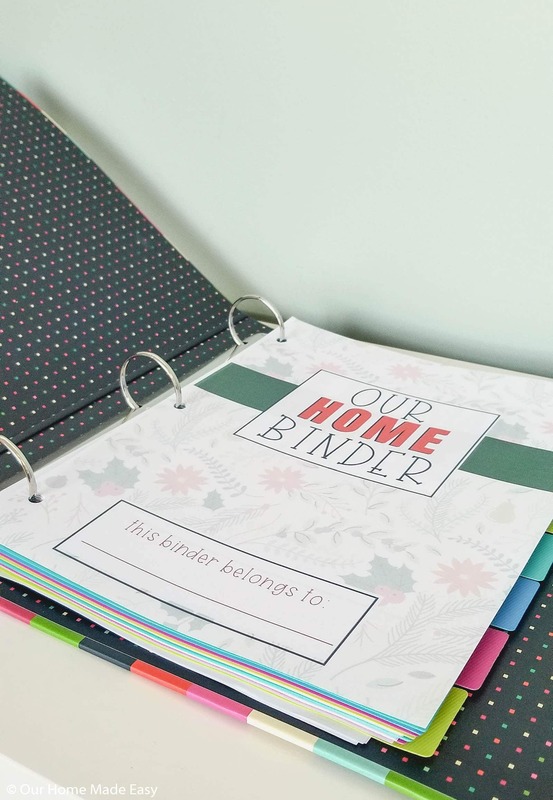 Keep scrolling to the bottom of this post to get your free home binder covers. 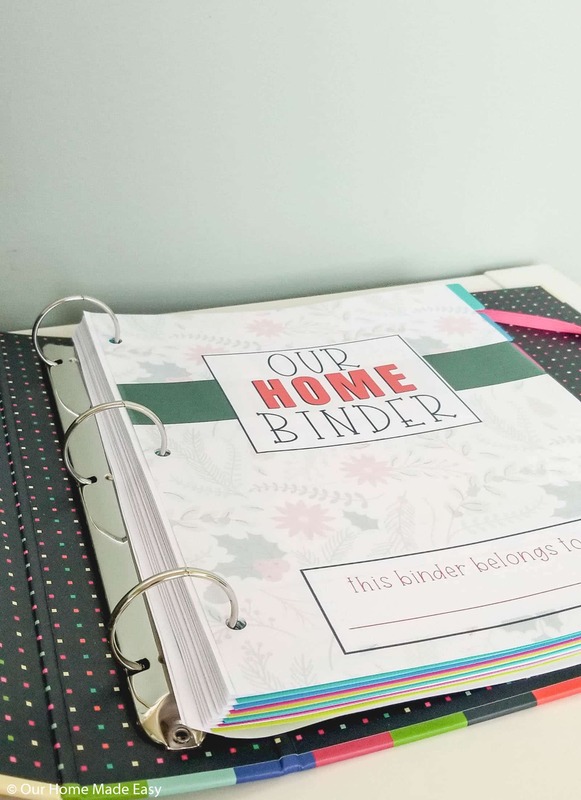 I hope that you love them and they help you get excited about keeping your home organized! 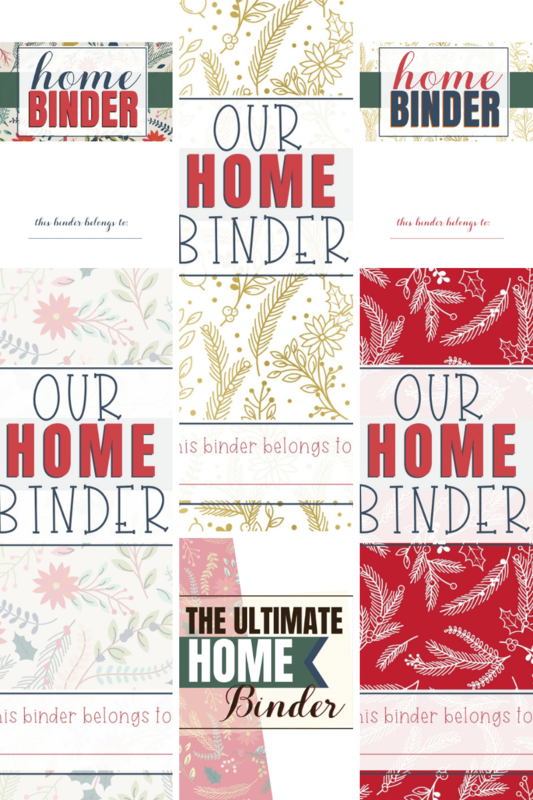 I designed 6 new Christmas home binder cover options for you to choose from this year. All you will have to do is download them from the printables library and then print them off on your computer! Choose borderless in your print setting to avoid that white ‘frame’ that happens when you print photos. You’ll find the background from this year’s free Holiday Organizer. Love the gold background? It’s from the Holiday Ready Home eBook! The other 4 options use similar colors to the Holiday Organizer, but with more white space. Which one you choose is completely up to you. 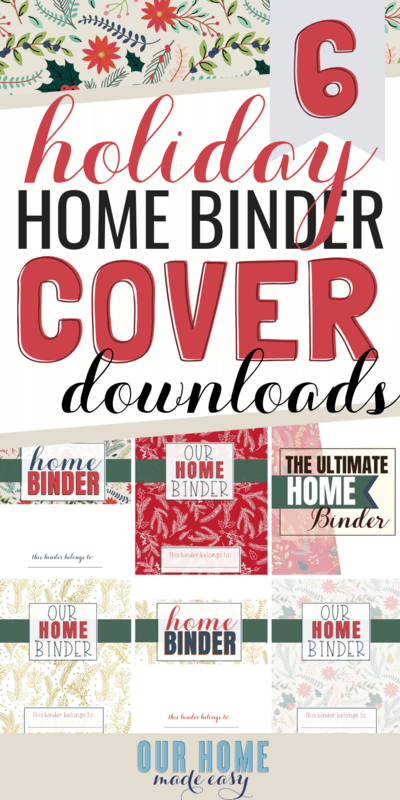 GET YOUR FREE CHRISTMAS HOME BINDER COVERS HERE!